Now it's the Klingons who should be afraid, because the Federation has put true evil in the form of Lucius Malfoy in command of the starship Discovery. 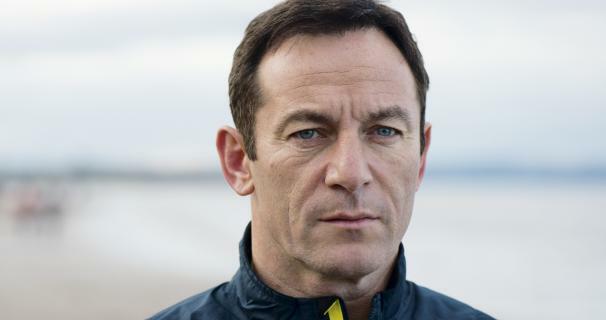 Admittedly that could be an overstatement, but Jason Isaacs, the man who brought Malfoy to life in the Harry Potter films, has indeed been cast in the role of Captain Lorca in Star Trek: Discovery. The casting of Isaacs brings weight to the series and serves tradition well as the actor follows in the steps of William Shatner's James T. Kirk (Star Trek), Patrick Stewart's Jean Luc Picard (The Next Generation), Avery Brooks' Benjamin Sisko (Deep Space Nine), Kate Mulgrew's Kathryn Janeway (Voyager) and Scott Bakula's Jonathan Archer (Enterprise). A key difference between Discovery and the previous series is the fact that the captain character will not, by all reports, be central to the show. Instead, Sonequa Martin-Green's Rainsford, referred to by the crew as "Number One" (similar to Majel Barrett in the first Trek pilot, "The Cage") and her journey will be the primary focus. That being said, it's unlikely that someone of Isaacs' caliber is going to be hired to serve as bridge dressing. Isaacs joins the previously announced Doug Jones, Anthony Rapp, James Fran, Terry Serpico, Maulik Pancholy and Sam Vartholomeos as regulars, with Mary Chieffo, Chris Obi, Shazad Latif and Michelle Yeoh set as recurring characters. Created by Bryan Fuller and Alex Kurtzman, Discovery, a prequel to the original Star Trek, has had something of a troubled development history, with Fuller departing supposedly due to scheduling conflicts, and the show's debut being moved back first from March to May, and now to late summer/early fall. When it does arrive, in America it will be available for streaming on CBS All Access, and on Netflix for the rest of the world.